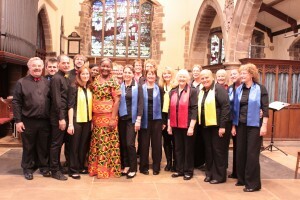 Welcome to the website of the Manchester Gospel Choir. We hope you’ll stay and browse our pages to discover a bit more about us. The choir members are from churches throughout the Greater Manchester area. Our musical director is Margaret Ferguson, a professional singer, who has performed at major national and international events and on radio and television. The choir’s regular accompanist is Jonathan Ellis, a professional pianist who has played at many major venues. Our drummer is Carl McIver. If you think you might like to join the choir or come along to a rehearsal to see if it’s for you or are considering booking the choir, then please feel free to contact us to find out more. Details of our next events are on this page, just click on the title for more details.